Design #1 has arrived and is available for purchase. quantity available, so don't miss out, get yours now! 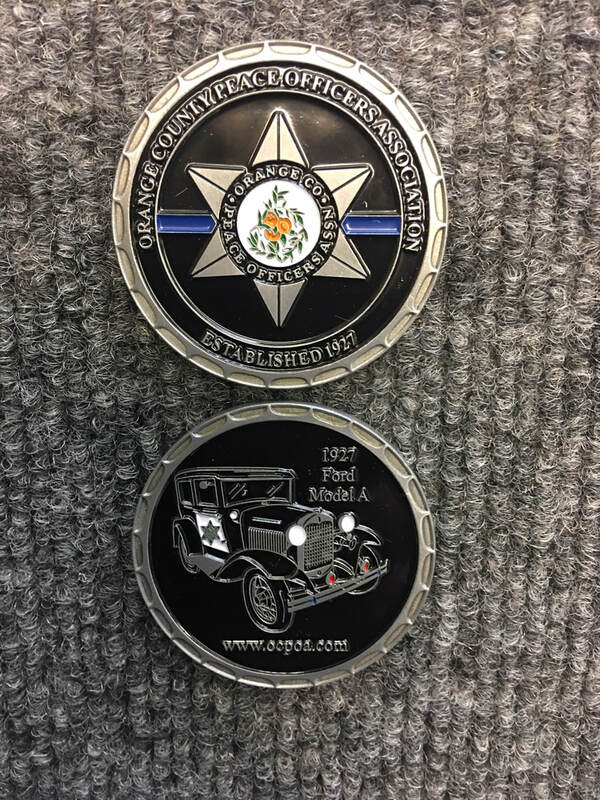 These make a great gift for an academy graduate, promotion, or retirement. Coins are available now at the OC Range Store. Additional cost for multiple coins... contact OC Range Store for pricing. Cards have arrived and are being distributed. New membership benefits are in the works. Check Membership Benefits. Did you know we are on social media? Follow us on Facebook, Twitter (@ocpoa1) and Instagram (ocpoa) to keep current with OCPOA news.